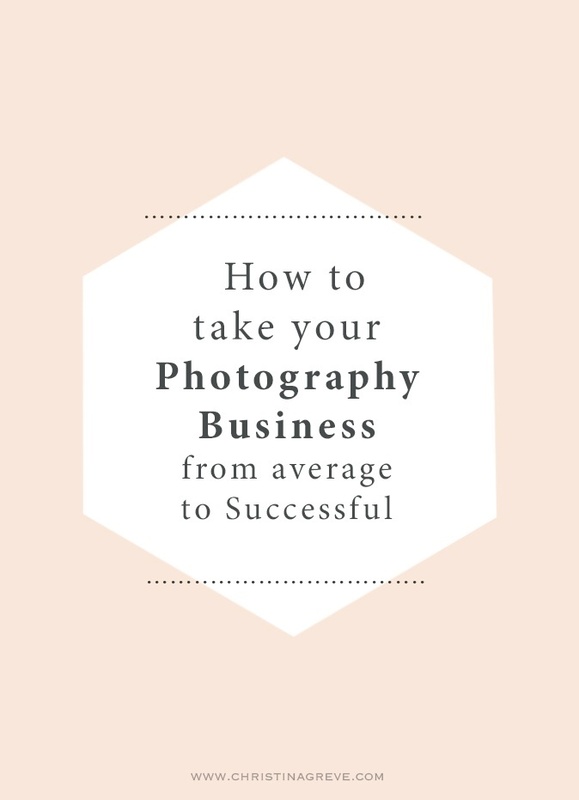 Are you feeling stuck with your photography business? Are you just starting out and not sure how to build your dream business? Then read on as I answer a letter from one of my dear readers who is in that situation. I got this letter a few days ago and with permission from the person who wrote it; I´ll share it with you. I think many photographers will be able to relate to Francine´s situation. I rarely read into someone’s blog as much as I have yours lately. I was searching on Pinterest to help pass some time and a post led me to your blog. I haven’t felt as inspired by any other photographers blogs/books/u-tube videos ect.. And believe me, I have been researching this to death. I’ve taken photos for years for fun. If their was an event or just a family member being silly, there I was with my camera. However in 2011, the idea to start a photography business kind of planted a seed in my head, and after weighing pros and cons, I started my company. Where I’m located we have more than 75 local photographers, so clients are scarce and usually wanting a great deal or wanting to know in what ways I can cut them a deal. This would be because they are all friends of family members. I’m no-where near where I want to be in photography, I have much to learn and I’m happy to do that. I know success wont grow from an average photographer, but I’m having the hardest time finding my edge. I’m asked to photograph families A-LOT, some younger children photo sessions, one newborn, a couple boudoir, some sports, events and seniors, but mostly family sessions. How I got into that I have no idea because I don’t think that’s my strongest area. By being asked to photograph a variety I thought I would find what I truly loved photographing, but the truth is I just love taking photographs period. If I truly love taking photos and being creative then how can I find my niche in a tough competitive market when I keep getting asked to do photos that I don’t believe represent my best work? For example if I just wanted to shoot weddings, how do I get the chance to try when I haven’t had the opportunity? And I’ve ventured thru the friends of family members area, so far…… my work isn’t going very far. I even tried to do the Groupon thing and that didn’t work out so well, lol. I would like to get out there and start shooting, but I seem to be stuck. I tried looking through your courses but all seem to be booked, so I will keep an eye out for any new classes opening up, until then if you get the chance to respond that would be great! I´m so happy you decided to reach out and share your story, because I know that so many photographers can relate to your frustrations! You are not alone with your thoughts and feelings. I´m going to give you some straight from the heart – direct and heart spoken answers! My solutions may seem scary to you at first – but they are solutions that work and also the strategies from how I run my own business. So firstly….let´s get one thing straight…. “NO” is going to be your new favorite word! One of the things you will need to implement in your vocabulary is the simple word: NO! Saying no is necessary to turn you current situation around. I investigated your website and your Facebook page and I notice that you are a VERY kind and sweet person – a person with a BIG heart and love for making people happy – am I right? But sometimes in our thrive to make other people happy we forget ourself – we make to many compromises – we end up doing to much stuff we really don´t feel like doing! All the time we spend on things we don´t really want – but do to please others (and make them like us) take focus and time away from the things we really, really want – like building a successful business and photographing what our hearts desires. The reason why we are afraid to say no, is that we are afraid that people will think bad of us – it is the human fear no. 1! But by realizing that the word NO will help us create the life we truly want and helps us be around people who love us despite the fact, that we sometimes say no – then it get´s easier to say it! So Francine, lesson no. 1 is to say a loud and clear “NO” to photographing friends, families, free sessions and everything you don´t want to photograph. You can´t build a top notch business, doing this. If you don´t want to be a family photographer, then say NO next time a family wish to book you. Creating a niche will help you compete! 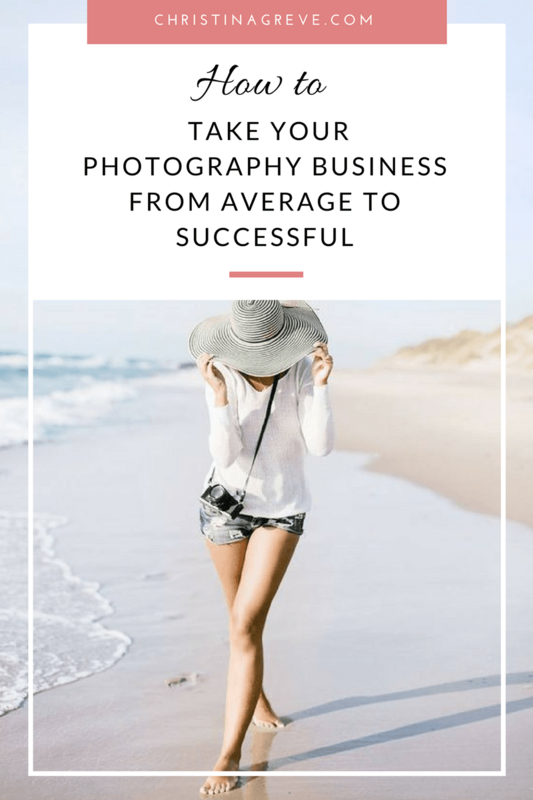 You ask me, how you can compete when there are so many photographers in your area – and they all fight to deliver the best and cheapest offers. Well, to be honest this is the direct way to failure. Many photographers think that they need to offer everything like; weddings, newborn, kids, families, business portraits ect. BIG mistake! Then they think they should compete on price and sell themselves cheap. Also BIG mistake! So Francine what you need to do is the opposite – scary right 🙂 But this is also where the fun begins! You need to STOP competing with other photographers, trying to do everything. Just do your own thing. This means finding your niche = one thing that you focus on. Fx. Weddings or boudoir (or whatever you decide.) Then secondly you raise your prices. As it is right now, you try to be good at everything, but no one can be good at everything – as you say yourself: “success wont grow from an average photographer” and as long as you say yes to everything – you´ll be stuck at average. It´s decision time – time to pick a niche (it can be one or two things – but each field needs it´s own website). Ask yourself what makes you most happy to photograph? And don´t say everything, because I know it´s not true…smile… pick the one thing that makes you feel playful, creative – something that makes you forget about time and place. Don´t choose what others ask of you all the time if you are bored with it. Choose something that will make you jump out of the bed in the morning. If you wish to go for wedding photography, but have no experience, then ask a wedding photographer in another area than where you live, if you can assist her/him for a few weddings. You don´t get paid, but you´ll get experience and photos for your portfolio. You can also hire models and borrow wedding dresses from a shop or a designer, that way you can create a look-alike wedding and some beautiful portfolio pictures. Go out and make some great new contacts that can help you towards your goals. You will find, that no matter which niche you choose, you will grow quickly because it´s the only thing you need to focus on and learn bout. Yep, I read all about your pricing….and all I can say is; raise them at least 3 times the amount! You are charging way to little. Have you ever wondered what kind of messages you send to your costumers when you have so small rates? It´s a signal that you don´t value your own work or time! Try to count how much time you spend on one session from the first phone call to the last picture is printed and delivered – it´s a lot of hours, right! You need to get paid for each hour. Decide that you want to get paid for every hour you spend away from your family. In business and life you need to hold your head up high and be proud of what you do and the work you deliver! Especially you Francine, because you truly put your heart and soul into your work – I can see that in your photos. By raising your prices you´ll send a message, that you believe in your own worth and it will make people value your work even more. Besides when you raise your prices you often get better clients – clients that are fun to work with and who are dedicated to making great images with you. Raising your prices does not make you arrogant! Raising your prices does not take you out of business! Raising prices, will make you shoot less/work less for the same money as before. The extra time created by this, can be spend on getting better, branding yourself or simply taking time off. Say NO to what you don´t want to photograph. Choose a niche and specialize in your field, you´ll grow fast and become great at what you do. While you build your niche, create a new website with a new niche portfolio. Just 25 pics are enough to get you going with the new business. Raise your prices. Show that you value your work and time. And last but not least – use the transition period to brand yourself. The changes you make has a transition period. The time you have left because you don´t shoot everything anymore, is going to be spend on branding yourself; locally, via a blog and on Facebook. (you are doing great with your Facebook business page btw). I know these where some tough answers, but I know you can do this – don´t be afraid to take these steps – be afraid not to take them, because it will make you sublime at what you do, it will give you a job you love and a successful business. Go for it girl and let me know how it goes, okay!